Looking to network your DirecTV DVRs? You've come to the right place. 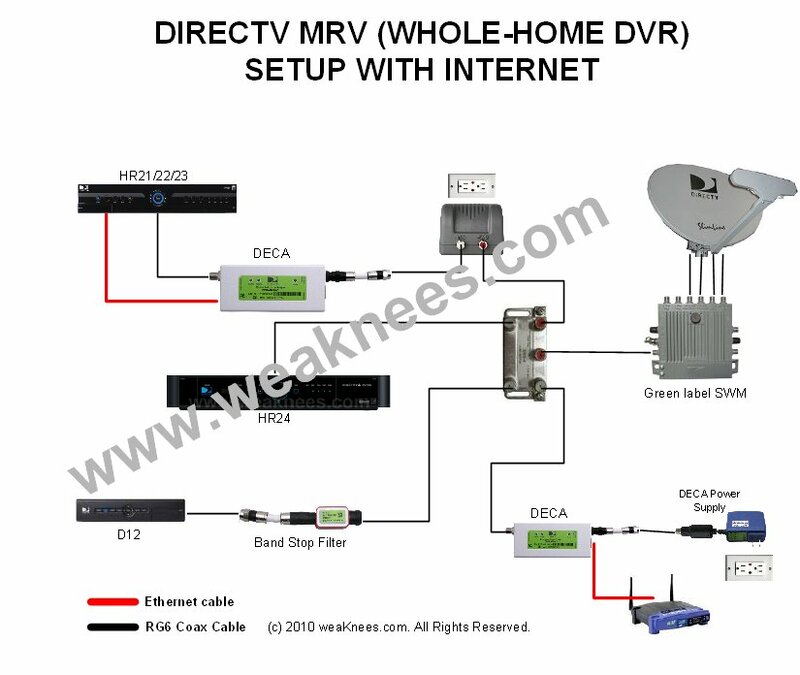 If you want multi-room viewing (MRV) or internet access for your DVR, the DECA (DIRECTV ethernet over Coax) parts below can help make the process easy. All DECA parts do require that you are running a SWM system. If you need any help figuring out what parts you need to set up your DECA network, use our MRV-DECA configuration utility. Also see our Whole Home DVR FAQ. Also see this wiring diagram. weaKnees is an Authorized DIRECTV Dealer. 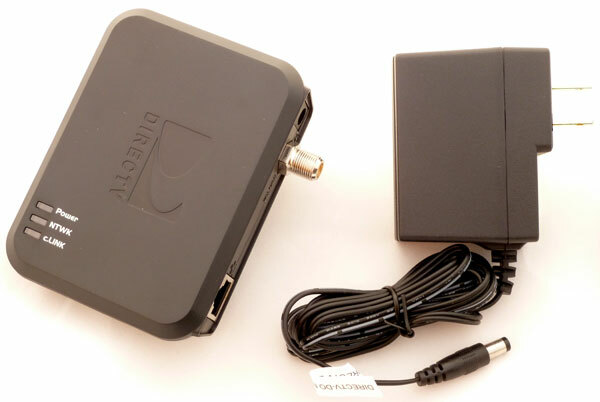 This new DirecTV-networking-over-coax adapter allows you to add DVRs and HD receivers to an in-house network for Whole Home DVR (not available on THR22) and other network-related features. Compatible with HR20*, HR21, HR22, HR23, THR22, HR21 Pro DVRs and H21 and H23 HD receivers. Includes ethernet cable (not pictured). Requires a SWM network. To connect your DirecTV network to the internet, you need to attach it to your internet router. This package is what you need. 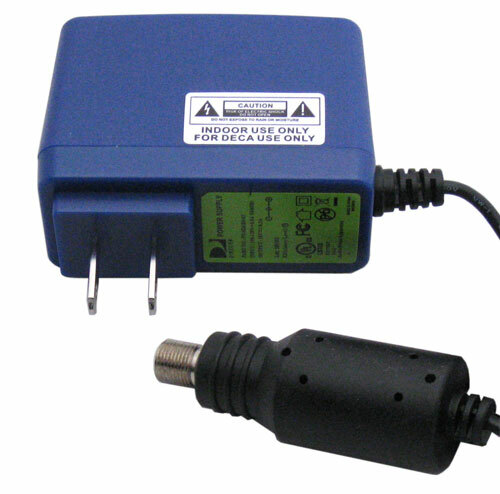 It's basically a modified DECA adapter without a satellite output to a DVR, plus a power adapter. Includes ethernet patch cable. 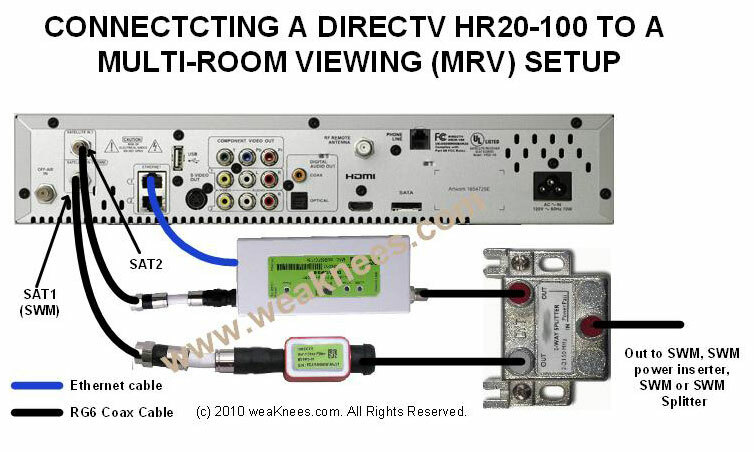 Due to some manufacturing differences, the DirecTV HD DVR HR20-100 model needs some additonal components. This package contains them all: the DECA adapter, a BSF, a compatible 1x2 splitter, and two coax jumper cables. When connecting a SWM or any other non-green-label device to an MRV network, you need a BSF to block competing traffic in the MRV frequency range.